At Reflections Urns & Memorials, we're committed to seeing to it that our funeral professionals get the service and satisfaction that they deserve. We want every purchase to go perfectly and every product to completely meet your expectations. Every purchase from Reflections Urns & Memorials is backed by our 100% Satisfaction Guarantee and our generous Returns Policy. We will gladly refund or replace any product that is found to be damaged or defective. But even more than that, we want to make sure that you're completely satisfied with the fit, finish, and quality of every product, and we will take back any non-personalized purchase for any reason for 90 days after purchase. To reinforce our commitment to service and satisfaction, we back our purchase guarantee with a free returns policy -- we will pay the cost of return shipping ourselves. 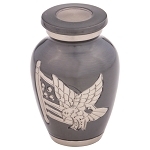 The only exceptions to our returns policy are that we cannot take back an item that has had any ashes placed in it or an item that has been personalized with direct engraving. Reflections Urns & Memorials will provide a full product refund -- however, if you chose an expedited ship option, and you received that service from FedEx as promised, we cannot refund the cost of that service. Each return to Reflections Urns & Memorials needs a returns number assigned to it so that we can track and handle it correctly. This number is called an RMA number. You have two ways that you can request an RMA number. 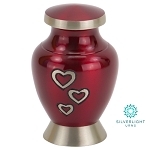 • Send an email to Reflections Urns & Memorials at [email protected] Don’t forget to tell us your firm's name and the product you want to return. • Call us at (888) 276-1297. We will issue you an RMA number and then email you a paid returns label to print and affix to the outside of your package. You can drop your returns package at any FedEx location. 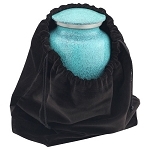 The package will come back to Reflections Urns & Memorials at no cost to you. Once we receive your product, we will issue a refund for the product and/or send you a replacement product according to your wishes.